Tesla Motors released a revised filing for its IPO today with two key nuggets of information: Tesla is buying the plant for $42 million and it doesn't have a formal deal with Toyota to build a new electric vehicle yet. For anyone who followed the hyped news of the Tesla-Toyota partnership last week, it would seem that the two companies had signed an official agreement to build what Tesla CEO Elon Musk was calling a "third-generation" vehicle (its Model S sedan is the second generation) together. 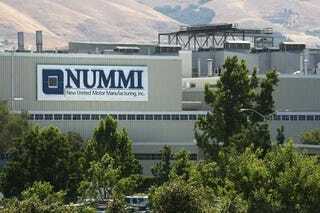 In fact, the purchase of NUMMI only seems to make sense if this joint car project comes to fruition - the Model S is only supposed to make up a small fraction of the vehicles produced at the facility.